If you’re unhappy about the wrinkles on your lips, around your mouth or under your eyes, even though you’ve tried various treatments, then the newest addition to the Juvéderm family of facial volumizers, Volbella, might be the answer you’ve been looking for. Juvéderm Volbella uses a new, patented hyaluronic acid (HA) formula developed by the product’s manufacturer Allergan as an effective lip enhancement treatment. Called Vycross, it is a proprietary technology that reduces the filler’s water absorption, which means less swelling than other HA products without this revolutionary technology. Studies also indicate longer lasting results, as well. The Volbella gel is incredibly smooth and contains the numbing agent lidocaine, which reduces the already-mild tingling or stinging sensation that many patients experience with each lip enhancement or wrinkle-smoothing injection. 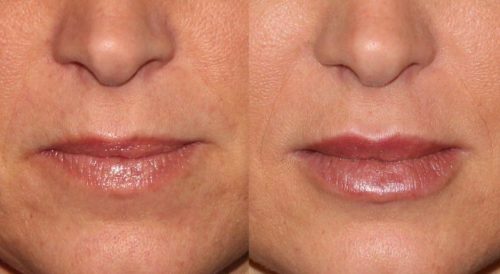 Compared to other dermal fillers, Volbella has a thinner, softer consistency, which makes it ideal for adding natural-looking and feeling volume to the delicate lip area. Additionally, the formula is thin and soft enough to effectively treat under eye concerns, such as dark circles, under eye bags, or hollows. Juvéderm Volbella can produce results lasting a full 12 months, which means that this lip augmentation or wrinkle smoothing treatment is very cost-effective. Since being introduced in Paris in 2014, Juvéderm Volbella has received rave reviews from patients and doctors alike, creating a buzz that has steadily been building. It reached another level on June 1, 2016 when it was approved by the FDA for lip enhancement. 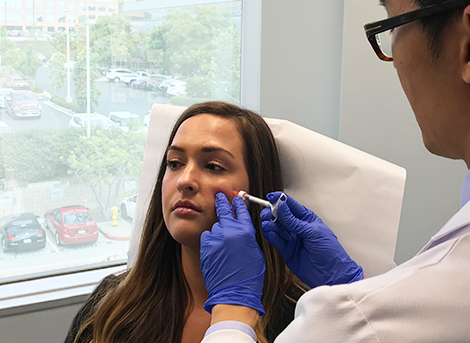 Fortunately, for residents of San Diego and throughout Southern California, the newest injectable wrinkle treatment Juvéderm Volbella is available at Cosmetic Laser Dermatology now, several months before it hits the U.S. market as a whole. Volbella XC was designed mainly as a lip enhancement and under eye filler. As we age, we lose volume in our skin, which results in wrinkles, lines, and creases, especially on the face. Around the mouth, your lips thin out and lose definition around their borders. Furthermore, marionette lines develop and smoker’s lines form. If you have bags under your eyes due to loss of skin volume, you know how impossible it is to use makeup to cover up your drooping lower eyelids. You appear tired and even unhealthy. Use of the Juvéderm Volbella injectable helps to enhance this area by lifting it through improved volume and fullness. The results can be spectacular – your face looks fresher and rejuvenated. These should dissipate within a week, but if they don’t make sure to contact the Volbella experts at Cosmetic Laser Surgery in San Diego. Be aware that Volbella, while very effective at defining and smoothing the contours of your lip lines, will not give your lips volume or plumpness, as other fillers do. If you want subtle smoothing of your mouth wrinkles and lip enhancement, consider Juvéderm Voluma. Learn more about hyaluronic acid fillers at WebMD.com. 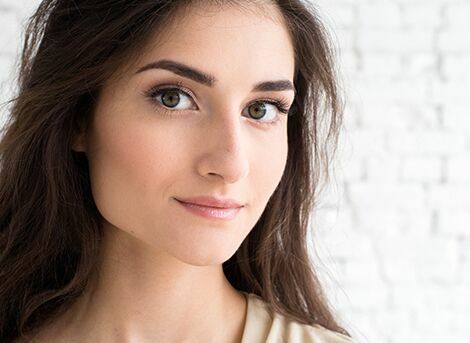 In addition to Volbella, Cosmetic Laser Dermatology offers the full line of Juvederm fillers which can help address lip lines, under the eyes as well as improve the lips and mid-face volume loss. Contact Cosmetic Laser Dermatology in San Diego today for more information.